The use of gamification in marketing strategy is a fun way to engage your customer base with incentives, rewards, and ultimately more loyalty. Companies have been using gamification of their product or service promotions for several decades now, getting many customers to play along for prizes and more. All the while, these companies have been fully engaging their audience in a fun way that is entertaining and captivating. 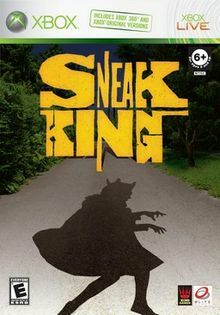 Burger King saw a 40% quarterly sales increase during its Sneak King game promotion that gave customers actual game discs for Xbox. However, what is gamification anyway? Gamification refers to creating an activity with gaming aspects that customers can interact with to complete a task for an incentive. These incentives can be prizes, cash, free samples, discounts on company products or services, and nearly anything else the marketing team can come up with. The type of game typically depends on the organization, its industry, and the way in which it wants to reward its customers for playing. 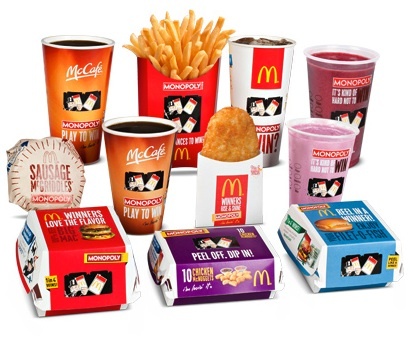 Games can range from simple digital scratcher lottery tickets to an elaborate board game mechanic such as the famous Monopoly game campaign from McDonald’s. The goal of this kind of marketing campaign is to bring in new and existing customers and give them a fun means of interacting with a company. Additionally, this strategy is intended to engage customers who would otherwise not consider the brand and convert them to purchase. Much in the same way people play a mobile game, people are looking for ways to entertain themselves. What makes gamification strategies done correctly so effective is that they entertain your audience and rewards them with something tangible from your company that they can use or enjoy. Choose a game type – When selecting a game type, be sure to make it something that is familiar to people without being overly complicated to play. 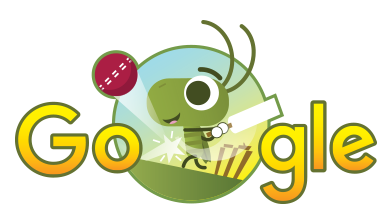 Google has excelled at this by creating small mini games on its main search page typically themed around the company’s famous “doodles” reflecting something significant that occurred that day in history; for example, Google created a cricket game to accompany the 2017 ICC Champions Trophy day. You can also refer to the “Running T-Rex” game users can access when your Google browser cannot connect to the Internet that only requires a player to press one button to make the T-Rex jump over obstacles. Simplicity in game play also ensures that there is no relative barrier to entry, meaning just about anyone can pick up the game relatively quickly. In this regard, also consider the popularity of the Flappy Bird game. Establish game rules – Besides wanting to know how to play your game, customers will want to know what it takes to win and earn their prize. You must decide what constitutes a “win” for playing your game and incorporate it into the game play itself, whether it is collecting the right items, having the highest score, etc. For example, the Monopoly game from McDonald’s requires players to collect all color-corresponding game pieces to win a prize. Games like the Running T-Rex go off of high scores. However you decide customers can win, be sure that it is clear so you reduce complaints about the game. Choose the incentive – This step is probably the most crucial because it is the crux on which the whole campaign rests on. People are not going to play your game without a good incentive, so being willing to offer winners something good only entices more participants. Incentives must also carry a tangible value to customers for them to be interested in playing. Good choices for incentives include free products or services, discount coupons, or valuable information because they all have intrinsic value that can be used or redeemed. Establish promotion time frame – Depending on your budget and how many resources you spent on developing your game can determine how long you want to allow people to play your game and win the prizes. The length of time can depend on typical things like a holiday, particular season, or just coincide with other promotions you are running at the same time. However, the time frame should give people ample time to hear about the game, play it many times, and have time to look at your website more closely to think about making an actual purchase. Promote the game on all channels and networks – Now it’s time to spread the word about your promotional game! In your advertisement of the game, you should mention the name of your game, a brief explanation of how to play it, how long this promotion will last, and what people stand to win should they participate. All this information should be written as succinctly as possible to make it friendly for email blasts, social media posts, and even SMS texts. Don’t forget to promote your promotion! Is there anything we missed about making use of gamification in marketing campaigns? Let us know in the comments below! Remember to visit our services to see how we can help you with your gamification efforts!